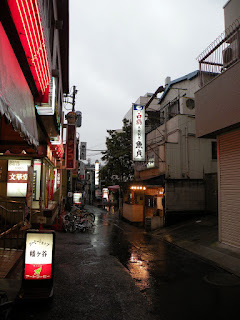 A wonderful little neighborhood just a couple stops from Shinjuku. This was around 6 pm when people were just getting home from work and school. 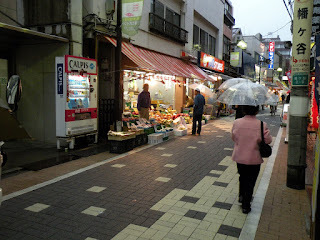 I wandered around looking for an elusive bookstore and took a few pictures before it got dark. Today was pretty rainy so not a lot of photos, but my credit card can attest that I have enough used cds and books to last me for a while. Is your birthday today or the day after tomorrow over there? Have a good one either way. Looks like fun is being had.